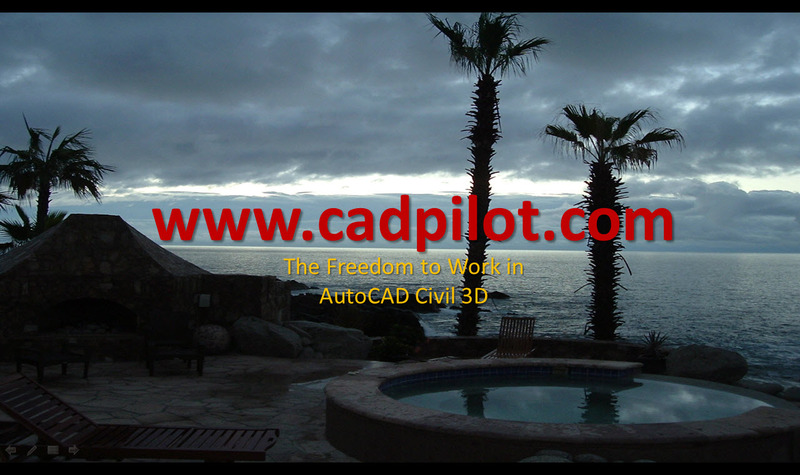 Inside Civil 3D there is the simple and then there is the simply sophisticated. Is it possible that both can work together at the same time? There is nothing dull about points and point data in Civil 3D. Most folks get by with a bare minimum to get work out the door. Let’s call that for what it is - the “Thank God that worked” approach. There’s nothing wrong with that, but after a while, it’s time we got more productive. That simple little Description Key Format column rears it head in a host of useful ways inside of Civil 3D. This fact can be really easy to overlook. Format deserves a closer look. I claim that AutoCAD Civil 3D is a diva. She’s a great performer able to sing, dance, and play in the band all at the same time. We must act as her Director or she can and will drive you downright nuts. You copy that? Read the Point Display Strategies posts. Now you get the idea of the Point Director or Override method. Still, the details can be a challenge? That’s why the point power is built into the Framework for Civil 3D and works in multiple versions of Civil 3D right out of the box. The introductory video from the Deliverables course helps demo what that means. I prefer to think of the Format column in Description Key Sets (Sets plural on purpose, folks) as the teleprompter inside AutoCAD Civil 3D. You can use the teleprompter act like a mindless political hack (an all too common practice) or like a bad actor. Or you can employ Format to deliver powerful messages, inspiration, and vital information in innovative ways. We can use Format functionality to become more productive with the point data. What you have to say when you make a point should have substance. Like I said, Format can be simple or sophisticated. A word of warning. To believe that you understand Format without employing the updated Survey functionality in Civil 3D in your entire design process is a bit simple-minded. We do different things for line codes and point codes in there at the same time. Did you notice? You’re welcome. The differences there being about Point Styles and Point Groups and not necessarily Format. All these simply sophisticated productivity tools are built into our Framework’s production solutions for Civil 3D. We even supply the Civil 3D documentation and customization Spreadsheet Tools to manage the 2000+ Codes and all that related stuff. I bet your Survey Codes are already in there? If not, you can simply match them in the supplied Spreadsheet Tool. Format at work somehow allowing the old school past to coexist with a model-based present. For Format there’s more in there, as I like to say - By Design. The Format column can do even more. This deserves some clarification. Funny how a simple string interpreter (which is what the Format column is) can do so much? Then maybe the reality hits you? We supply Corridor point output Description Key Sets that will automatically translate the “stock” Civil 3D subassembly point codes into a set of shorter standardized abbreviations. There’s even a recent AddOn update of those tools for the Civil 3D 2018.1 update. Is that sophisticated level of detail innovative? We even supply the reverse Translator Description Key Set. Yes. That need does comes up in the real world and can be used in Plan and Profile and even corridor Sections documentation. Can you say “projected points”? There are a bit more obscure but sometimes Best Fit Alignment and Best Fit Profile design scenarios too. I ask why not supply you with real-world, practical, and complete Civil 3D power tools? You already know that repetitive in’s and out’s often produce new things. But I digress yet again. Given your choice of delimiter (Yes. You may change the delimiter too) Format works on chunks. That means those weird $0, $1, $2, etc. These might look familiar to you or they might not? How many chunks can there be? Think digits. Just remember “Hands up” when you shoot and edit point properties. Most people can’t tie strings together with their toes. String Position is very important to Format. If you make simple scalable TREE symbols you get the basics when coupled to Description Key Parameters. What about your Labels? What about Construction Notes? Revision tracking? Keynotes? Detail callouts? Simple stuff like Street name labels? Huh? I freely admit that it is easy to get lost and miss the picture in the forest of trees. Anything with a location can be documented and stored as DATA in a Survey Db. The labeled or tabled can then be updated like a dynamic data reference from the Survey Db. Format plays a vital role along with some key hidden Properties of the Point Label Style. Put another way. If you want multi-line labels your Point Label Style has to have scale sensitive Properties in place. I say “scale sensitive” because these Properties are related to computed font character of the textstyle/Style in use etc. Some minor Style adjustment is necessary if the annotative scales changes too much. A small maintenance price to pay for a lot of annotative plan set power. Data Content may matter more than our preferred habit. Get over it. Hmmmm? Keep those special points in another Survey Network? Maybe another Survey Db? What? You need a legend or a table from them? No problem. The Framework for Civil 3D can do that. If you get Legends and Lists posts the lights will go on. See the videos. Again. I digress. Our Release 7 products include Label Styles that do this Label magic in Civil 3D. We supply lots of Description Key Sets that now employ more complex Format chunk codes. Civil 3D users are ready for the improved productivity. The Text maximum width properties have been there for a long time, but remain somewhat squirrelled away in the Civil 3D Label Styles interface on the Summary tab. What that means to me is Autodesk reserves to right to change them in the Civil 3D object model without notice. They probably won’t. They do deal with an all too common customer objection to Label Style behavior. I will trust you’ve read and understand the Civil 3D Label Style Hierarchy Rules? You do manage Label Style changes to Height and other such property values from the proper Top down position(s) in the Settings tree Label Styles in Civil 3D? Civil 3D professionals love LSD (Label Style Defaults). Just like Label Style text Height properties the “multiline property” or technically the Text maximum width property must be changed in at least two places. Once for the Component and another time for the Dragged state. You probably do want to do that? You can guess the scary answer to that question. Should you build a default value for the Text maximum width property into every Label Style? Hmmm? Frankly, I think that most of the time it doesn’t matter. Which is why the property is squirrelled away. The Civil 3D Multiple Line Label Style Properties post covers these Label Style nuances in detail. Format does matter. Now you may understand the nuance of that a bit better.